Baños? Gracias! Buenos días! Cerveza – por favor! We all know those words. 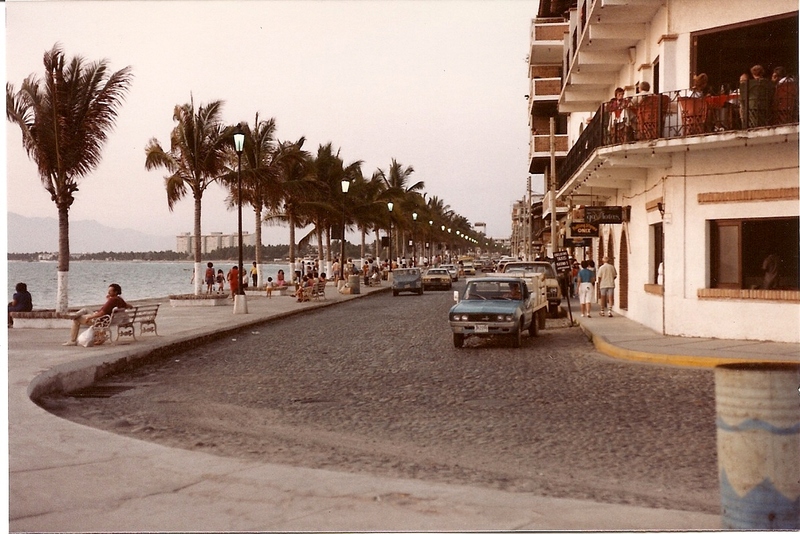 ﻿Back in 1966 when my husband Lawrie first visited Mexico with a travel agent friend that was pretty much the extent of his Spanish vocabulary. Their trip started with Mexico City, then Acapulco, and finally they did the adventurous drive over the mountains to the fishing village of Puerto Vallarta. Three years later he was on the first jet – with the same friend plus six other travel agents – that did a trial landing in Puerto Vallarta. The Captain announced over the plane’s p.a. system that if the plane wouldn’t fit on the runway they probably would have enough fuel to return to their departure location! This group of travel agents was on a scouting mission in Puerto Vallarta for future tourist locations when there was only three small local hotels in the downtown area, and nothing but white sandy beaches on either side of the village. My first visit was in 1982 with Lawrie, and two family members. We had a package deal for the flight and one night in a two-star place north of the hotel zone in Puerto Vallarta. Early in the morning we heard several men laughing outside the hotel. We looked to see what the source of amusement was and discovered a Mexican utility worker perched on the top of the power pole in front of our hotel room holding a cartoon-style board-stiff dead cat upright by its tail. Apparently the unlucky cat was the cause of the loud bang. It had electrocuted itself by touching the power transformer. The remainder of the trip was very enjoyable and not nearly as heart-stopping as our first night. We discovered the wonderful Fiesta Americana chain down the road from our two-star place and promptly moved into a two-level townhouse on the property. Five swimming pools, several restaurants and bars. Heaven! ﻿﻿Over the next twenty-something years we frequently returned to Puerto Vallarta staying in various hotels, condos, and apartments. 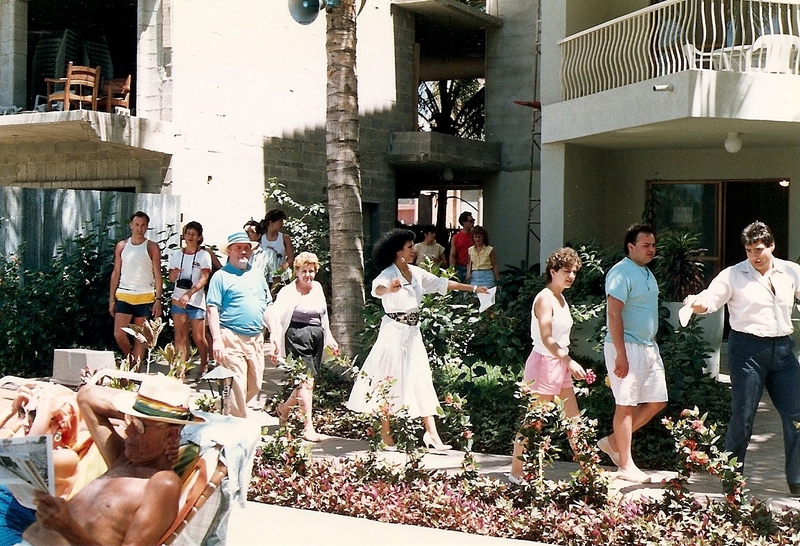 By 2002 we were tired of the Puerto Vallarta time-share-salesmen-hustle and decided to try the less populated Barra de Navidad area for two weeks. We flew into Manzillo and took a very long taxi ride to a small one-star hotel in a bay north of Melaque. The mosquitoes soon drove us out of that hotel and into the town of Barra de Navidad. Here we stayed in a slightly better place with a great view of the 5-diamond Grande Bay Hotel & Resort perched on an island in the bay. Lawrie suggested that we take the small water taxi over to the island to check out the hotel, and maybe have a drink in the bar. You would think that after being with him for twenty-three years, at that point, I would have been able to predict what was going to happen next. Well it was March, and after all it was his birthday the very next day, and a 5-Diamond hotel really was more his style. 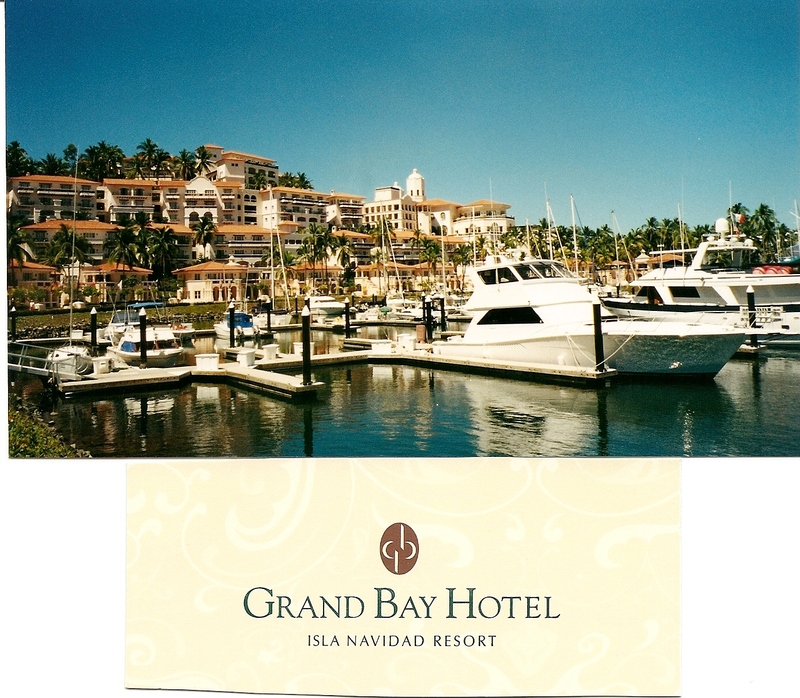 So, yes we moved over the next morning to the Grande Bay Hotel. Fabulous place! 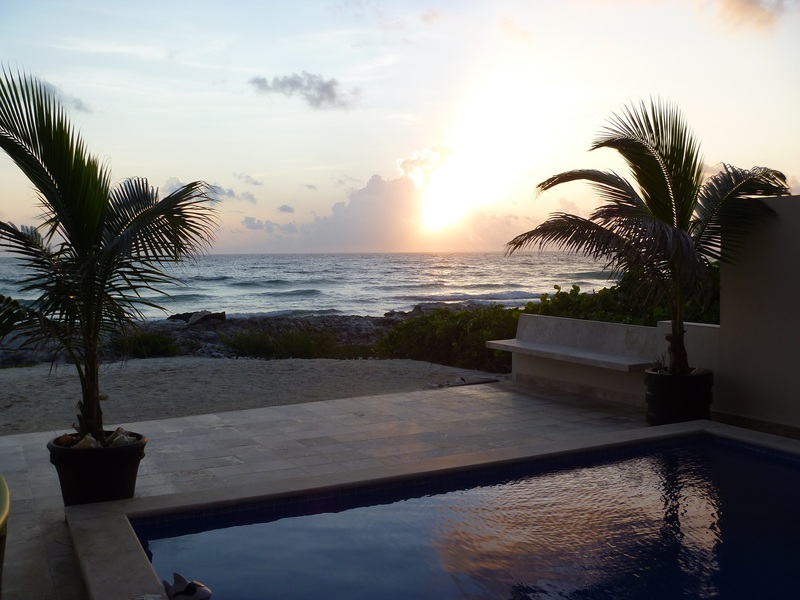 About then other family members had purchased property and built homes on Isla Mujeres near Cancun. We decided that we should spend a week or two in the area to see why they were raving about the Caribbean side of Mexico. The first place we stayed was at delightful rental cottage on the west side of the island. This was our first time on the Caribbean Sea. Wow! The colours were exquisite. That clinched it – we were not going to return to the Pacific side of Mexico anytime soon. A few more trips to Isla to show our Canadian friends the island, and we were completely hooked. So, when we heard that the ocean-front property, located just two lots north of his sister’s house, was for sale we promptly contacted the sellers. September 2007 – Patricio gives us our house keys. We started dealing on the property in June of 2006 and by January 2007 had a deal where we could now build our house. 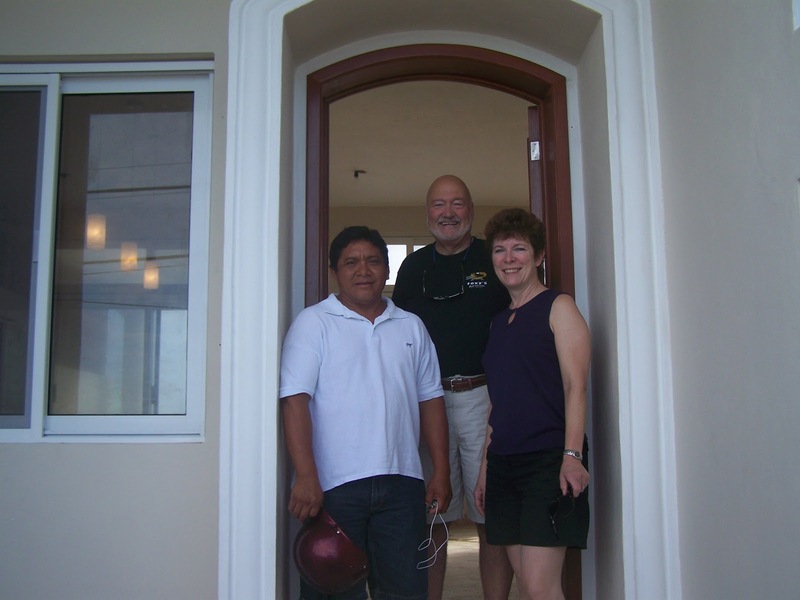 By September 2007 our fabulous local contractor Patricio Yam Dzul had the house completed, under budget and on time! We spent our first delightful winter here on Isla Mujeres from December 2007 to March 2008, arriving back in Canada on March 10th 2008 to a blinding snow storm. That’s it! We were done with winter. We wanted heat! We wanted palm trees! We wanted flowers all year! In October 2008 we left Canada with all of our worldly possessions stuffed into the Nissan Altima and headed south to Mexico. (I confess, not all of our worldly possessions were in the car. We left 54 photo albums and Lawrie’s custom-made Tuxedo stashed with family.) We love it here. We love the climate, the scenery, the people, the food. The only challenge we face is the lack of Spanish. It’s a bit frustrating at times to struggle with casual conversations with our local friends. So, back to the first sentence …… we should have learned Spanish about 30 years ago when our brains were much younger and we were much smarter. 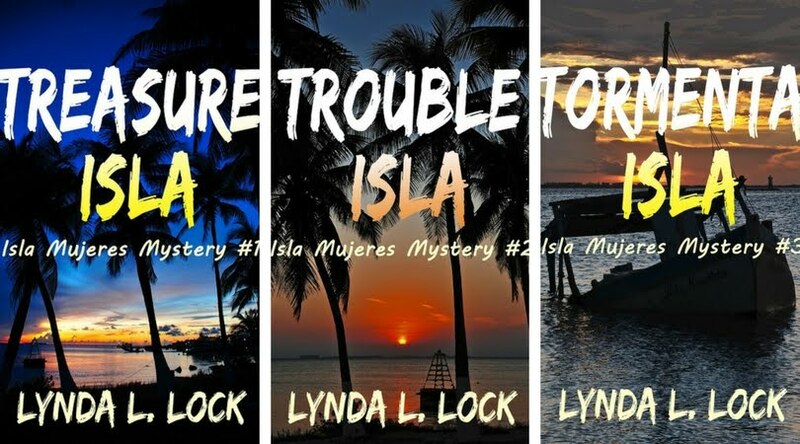 ﻿﻿Murder and mayhem in paradise. I feel the same way! My husband learned Spanish in HS–went to prep school with many students from So. America so was able to practice alot! After about a day on the island he's keeping up in conversations well! I have tried to get past the basics, but just don't retain it–have taken classes, too–It's not as easier to learn in my 60's. 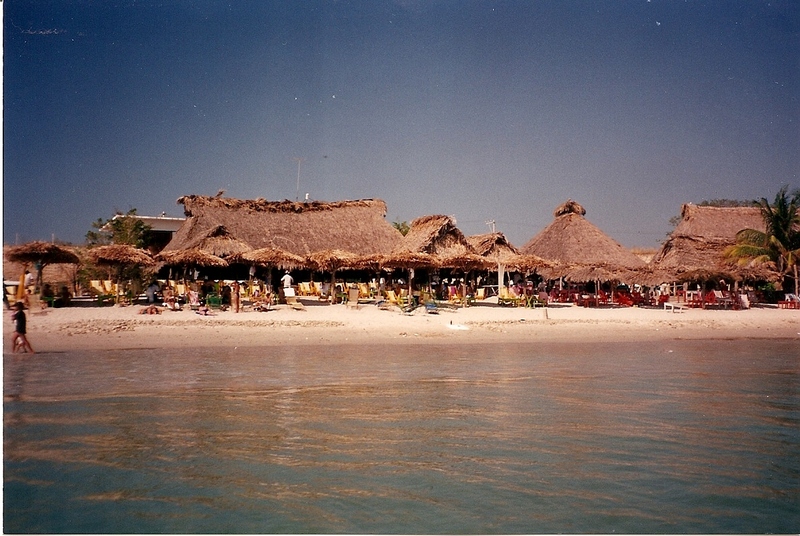 Next PostNext Why Isla Mujeres?